Leather jacket are very trendy in the 90s, just look at the style of Madonna at the time of adolescence. Leather jacket with leggings subordinate, has become “king of clothes” ? ?for young people at that time. For those of you who still keep a collection of leather jackets, do not hesitate to wear it in the present era. With the mix and match technique, you can conjure up the look with leather jacket so much anxiety and trendy. The advantages of leather jacket is the material that is luxurious and glossy so it looks cool. Suitable for semi-formal event and make you look younger. 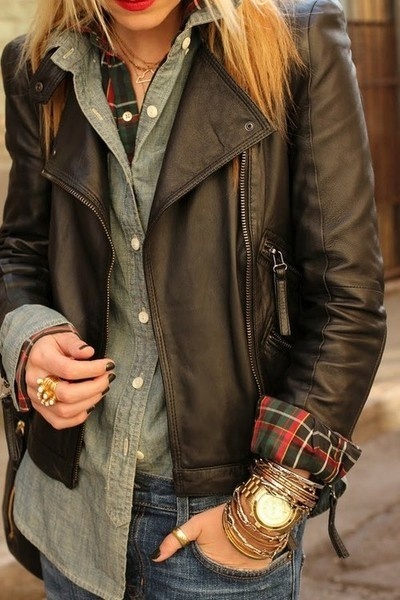 Besides leather jacket is also easily combined with any outfit. Because neutral colors and accents of black zippers or other metal details that make it look cool. Wearing leather jacket already showing character figure ‘ strong ‘ and tough . So , you can combine with leopard motif or a scarf wrapped around the neck which is now more loved. Leather jacket seem very macho or masculine , but you can mix in feminine style by wearing patterned mini dress made ? ?from delicate chiffon. Pair with heels shoes or boots. Well , definitely will be cool . Add a belt if you like to provide firmer curves. So that the jacket can make you seem more graceful when using it. The leather jacket is not just for kids bike . You can wear it to a party or a party event fancy , just give a little accent ‘ blink-blink ‘ with accent gems or beads to give the impression of glamor. Do not forget to wear heels or favorite pumps. Related post Utility Jacket back to the game! If you do not have black jacket with the details, just mix with the innards dress that gives the glamor impression. For example, long dress made ? ?from silk or chiffon. To be more impressed ready to party , add with your favorite gorgeous clutch . 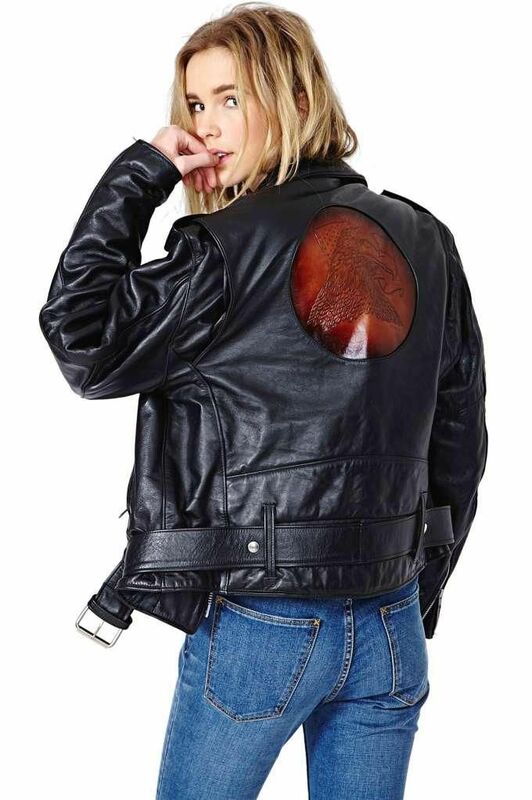 Choose leather jacket that fits in the body or slightly larger . When you choose a little bigger , you can use the depth that fits in the body or dress with a belt . When you select that fits in the outer body , you can choose dress or looser inner. For shoes , you can choose from boots to heels. The recommended length boots with below the knee, ankle boots, and heels. Wedges also not a bad choice, but less by the your outer.